This training aims to provide you with all you need to know about supporting your local school with assemblies, RE lessons, SMSC provision, and pastoral work. 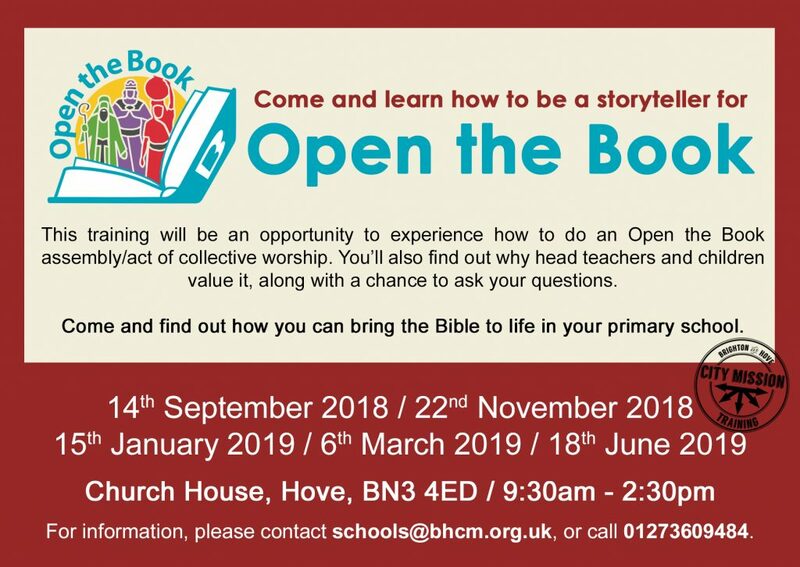 The training is for those in full-time, part-time, or voluntary work with children or young people, and will be ideal for any church staff or volunteer who already visits schools or who would like to start going into their local school. In addition to this, the training could be an added bonus to that which is being learnt on an internship. There are four training days on the course, which are repeated twice throughout the year. You can book a place on one or all of the four training days. This training is being offered in partnership with the Church of England. Day 1: Why? What? How? Book our training days by contacting schools@bhcm.org.uk or by calling 01273 609484 and ask for Kerry.